(CBS) - Friends and family of murdered North Carolina mom Laura Ackerson honored her at a memorial service Saturday. According to WTVD, nearly a hundred people gathered at Grace Fellowship Church in Kinston, N.C. to remember Ackerson, whose body was found in a Texas creek over a week ago. "It's just been a shock to everyone - she was just a sweet girl, who didn't deserve what happened to her," Leslie Katkayeck, a friend of Ackerson, reportedly said. "You know the church has just been trying to support her family as much as we can, and just want to keep the prayers open for her children." Investigators say they believe the mother of two was slain in North Carolina by her ex-boyfriend and his wife, before her killers hauled her dismembered body in coolers to Texas for disposal, CBS affiliate WRAL reports. Raleigh police have not commented on a possible motive for Ackerson's death, but family members and friends have said that Ackerson and Grant Hayes were involved in a custody battle over their two young sons and that their relationship had been "volatile." Police said Ackerson's two sons were with family members, but they didn't disclose whether it was Ackerson's family or Grant Hayes' family. At her memorial service Saturday, friends and family recognized the Kinston woman for her devotion to family and faith and say her memory will forever live on, reports WTVD. 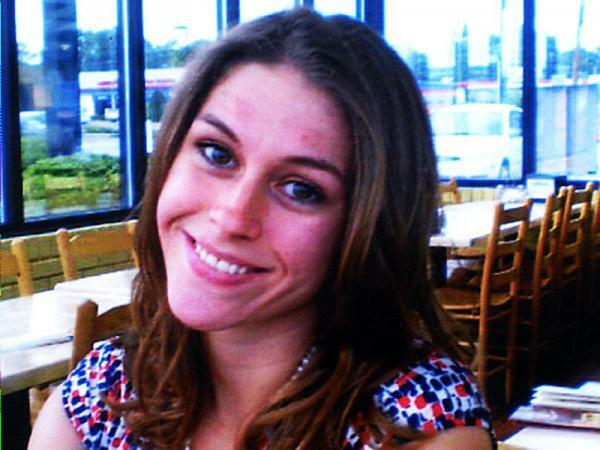 July 20, 2011 - Laura Jean Ackerson Missing: Mother vanished from Raleigh, N.C.